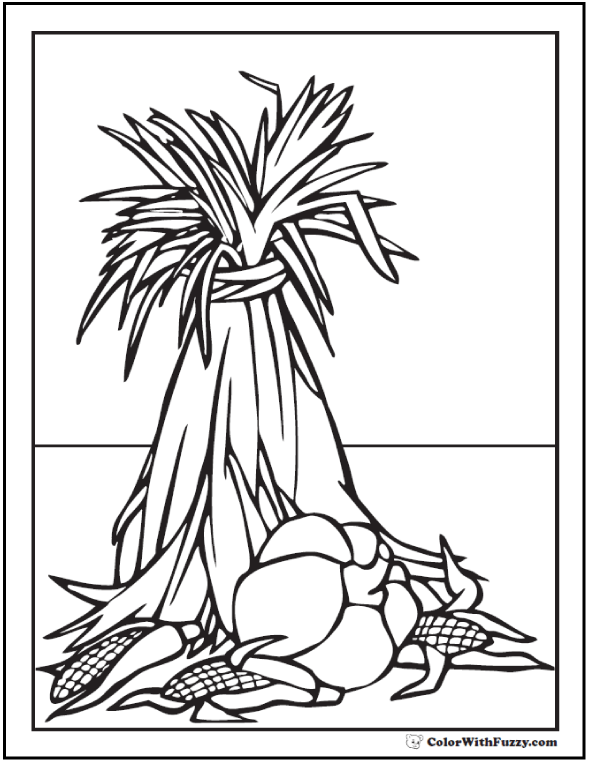 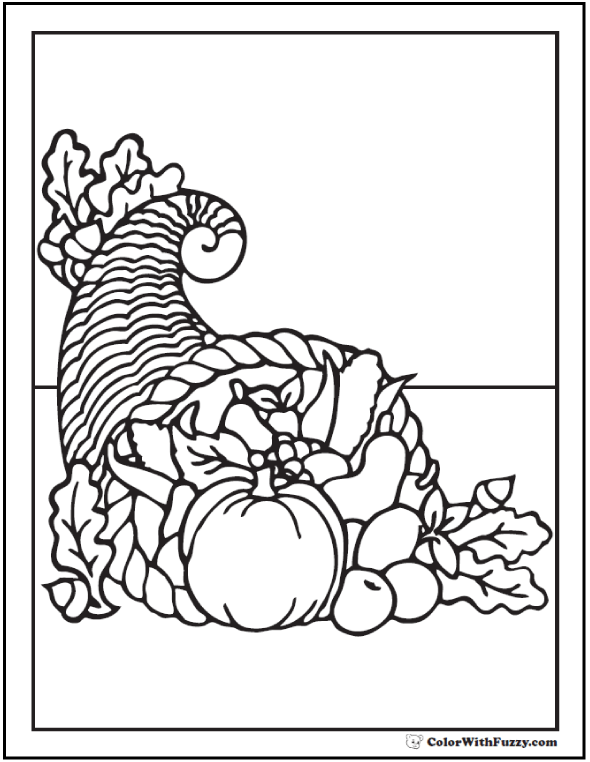 68+ Thanksgiving Coloring Pages ✨ Autumn Harvest Fun! 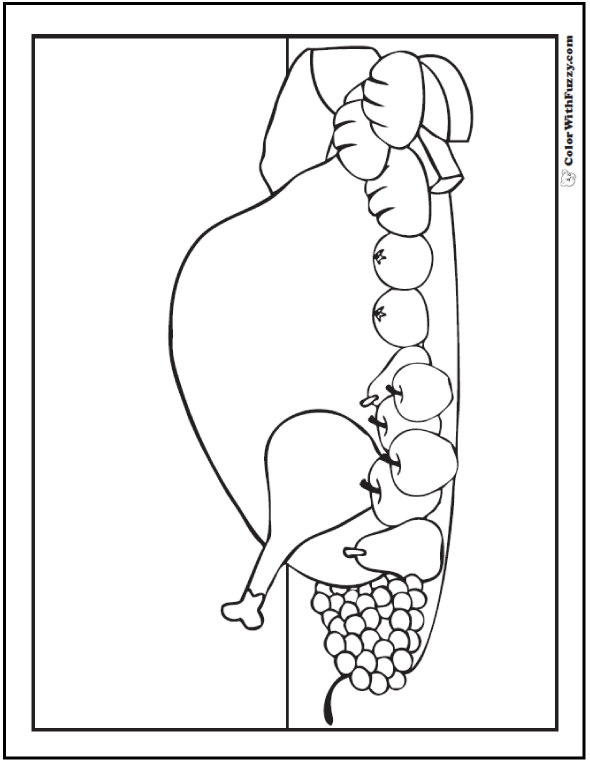 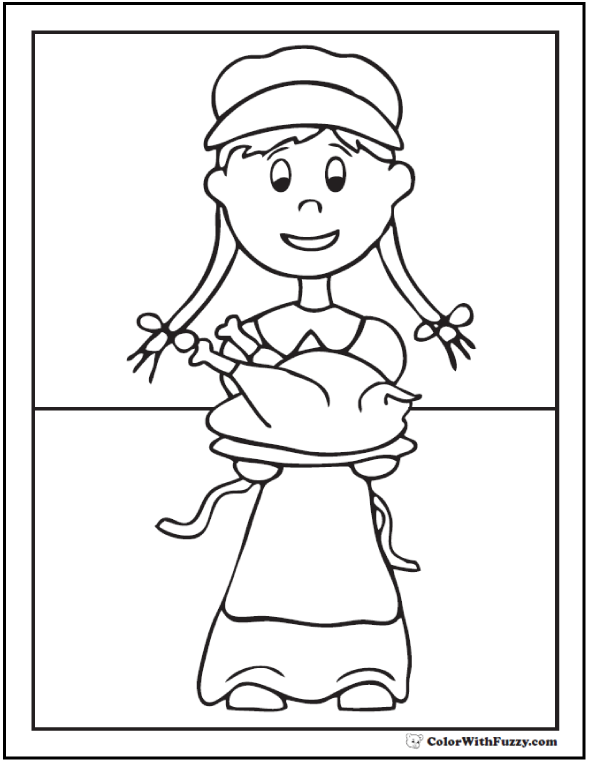 What a cute Thanksgiving coloring page! 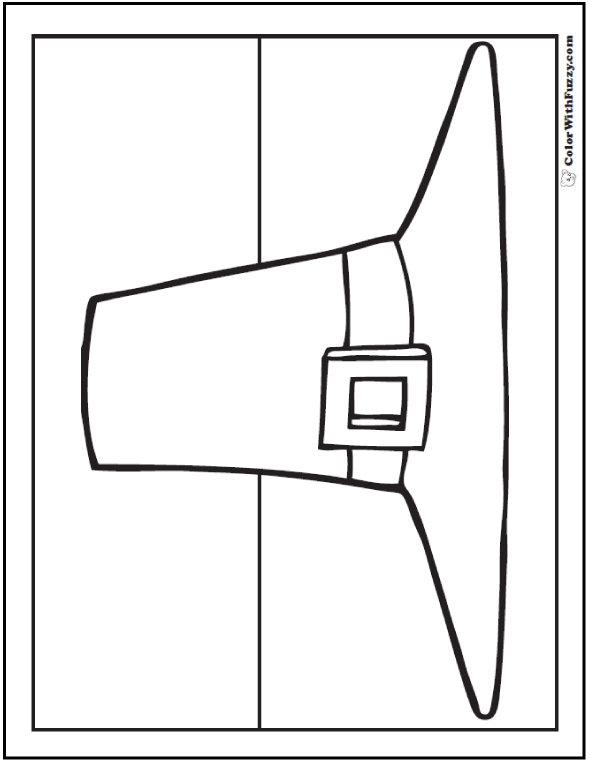 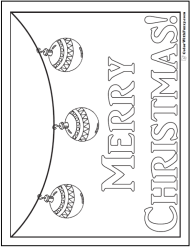 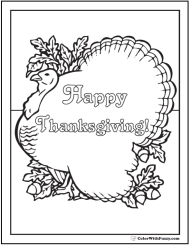 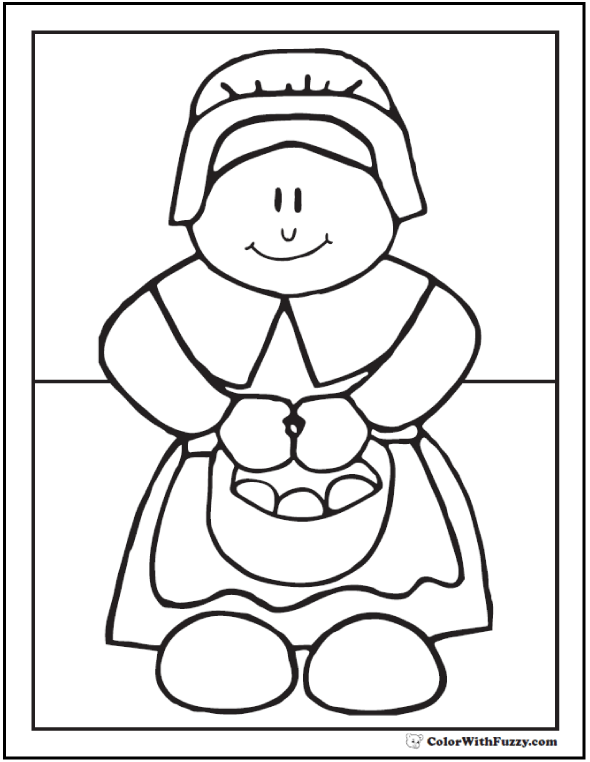 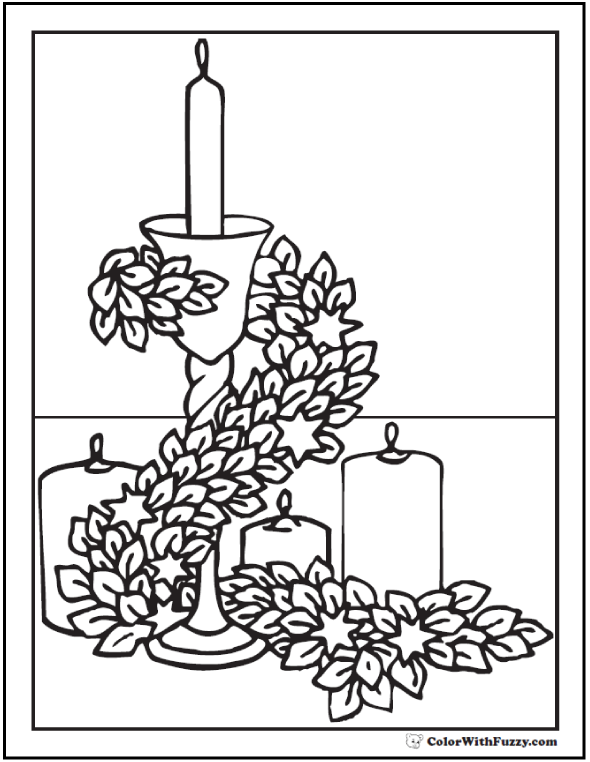 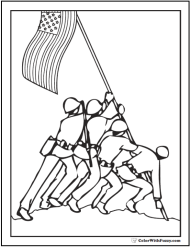 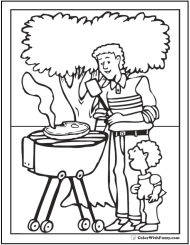 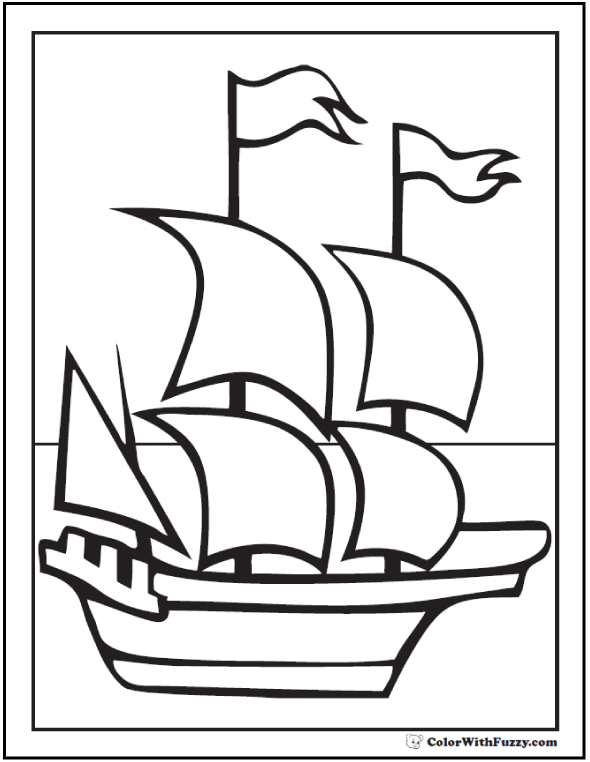 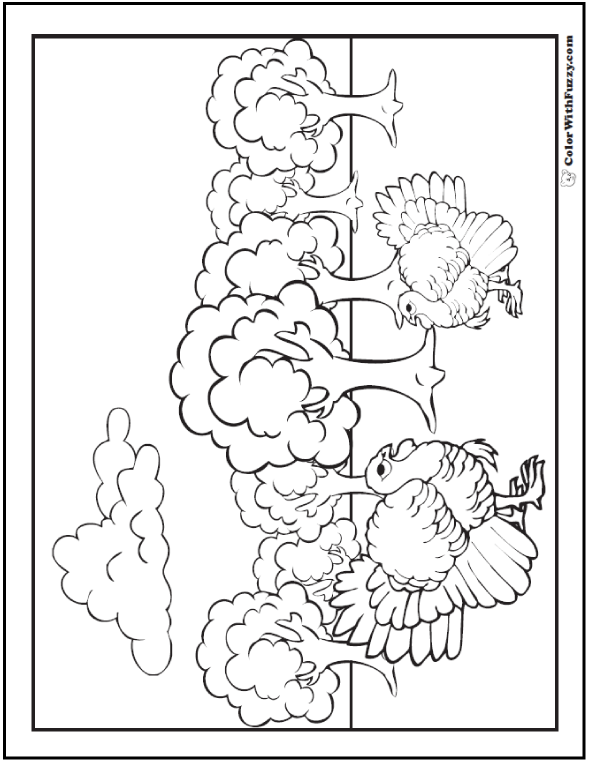 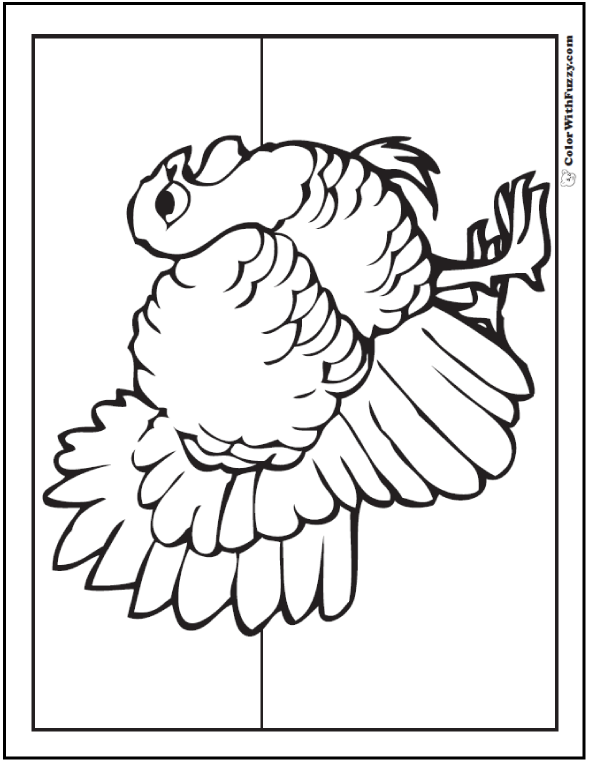 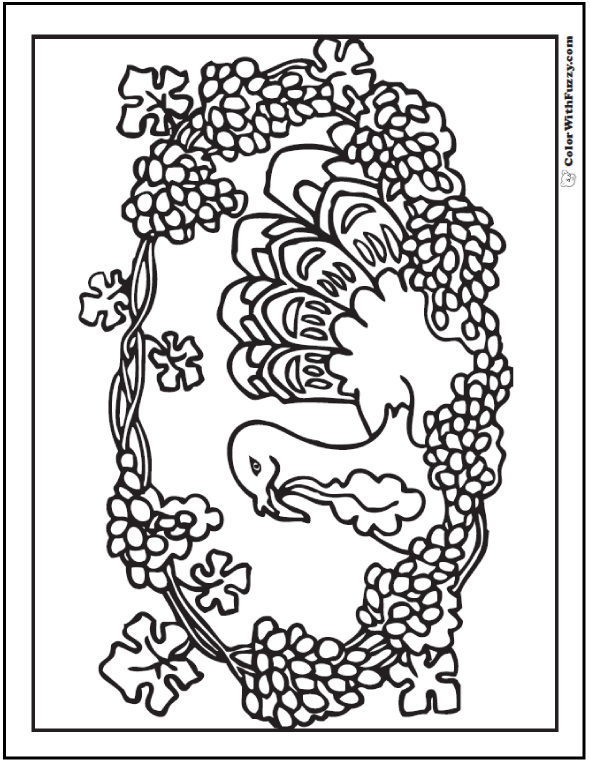 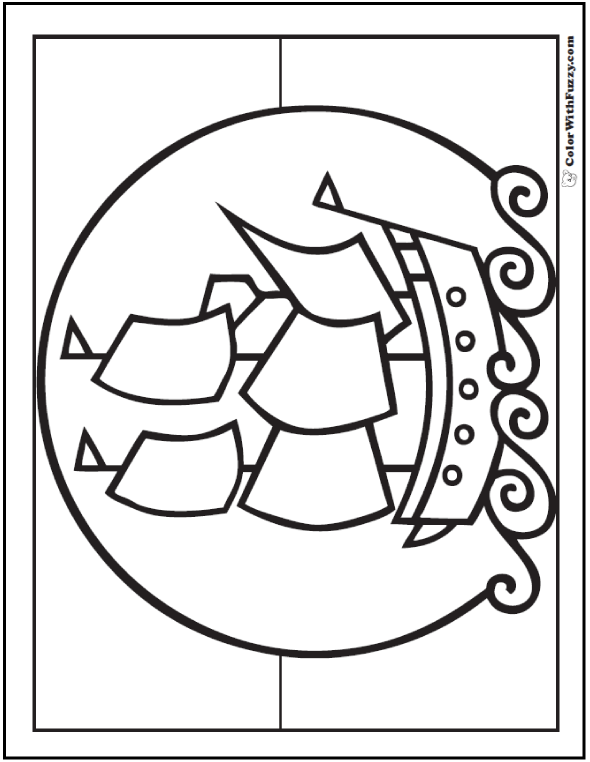 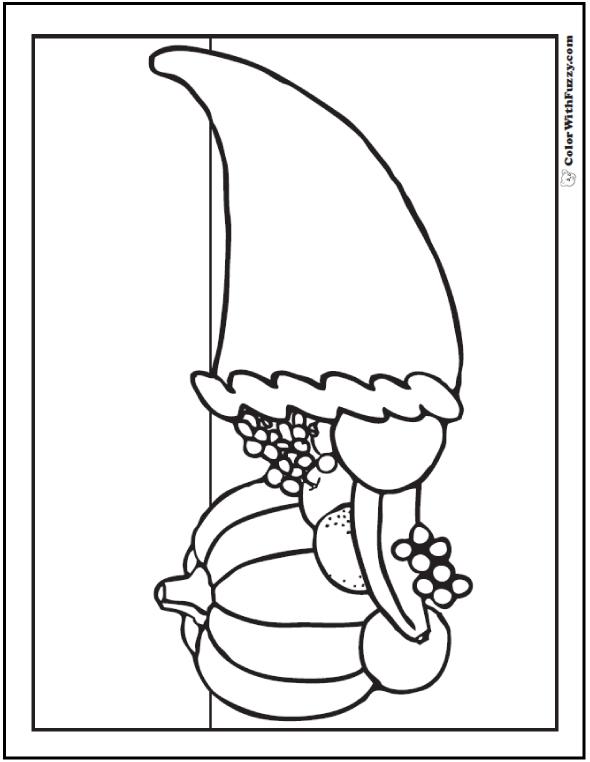 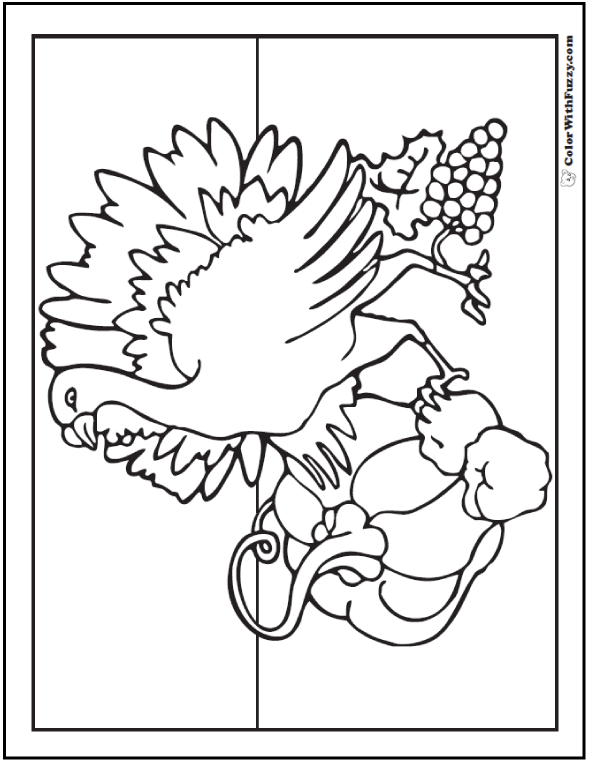 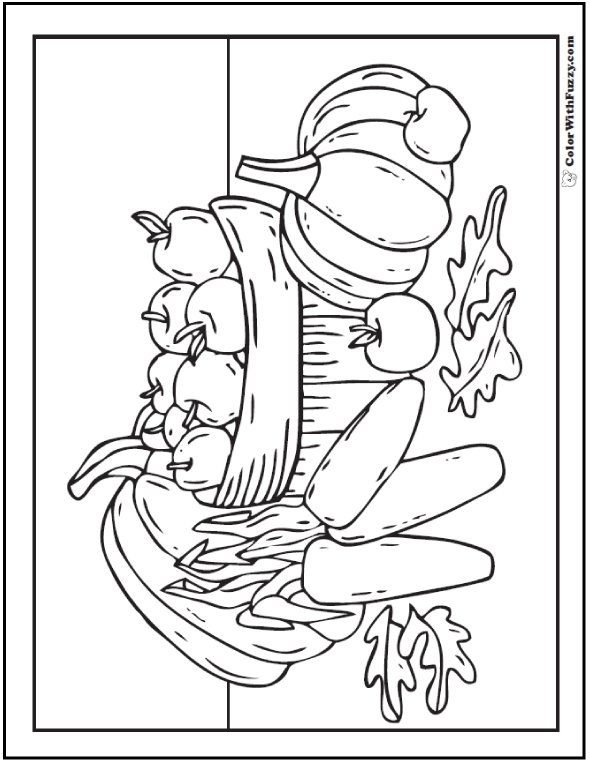 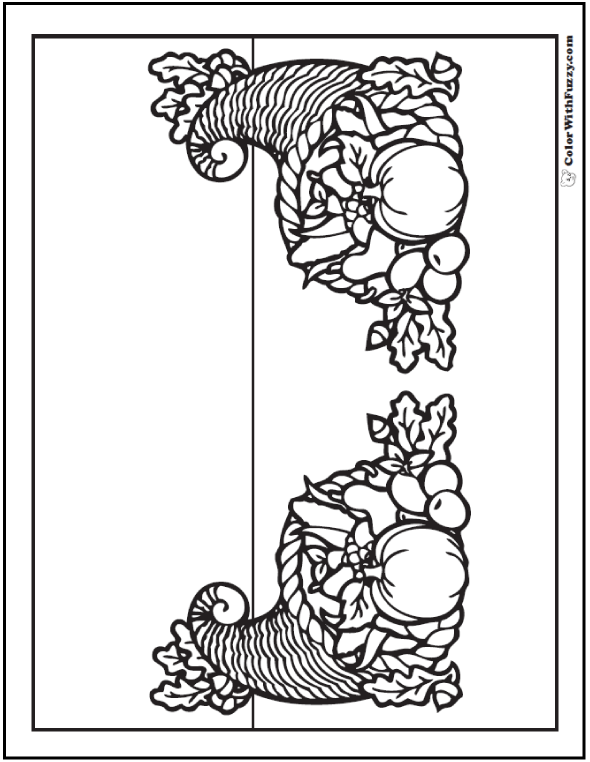 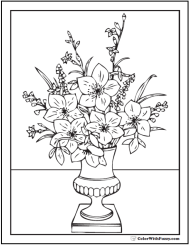 Choose a Thanksgiving coloring page to celebrate the Thanksgiving holiday theme. 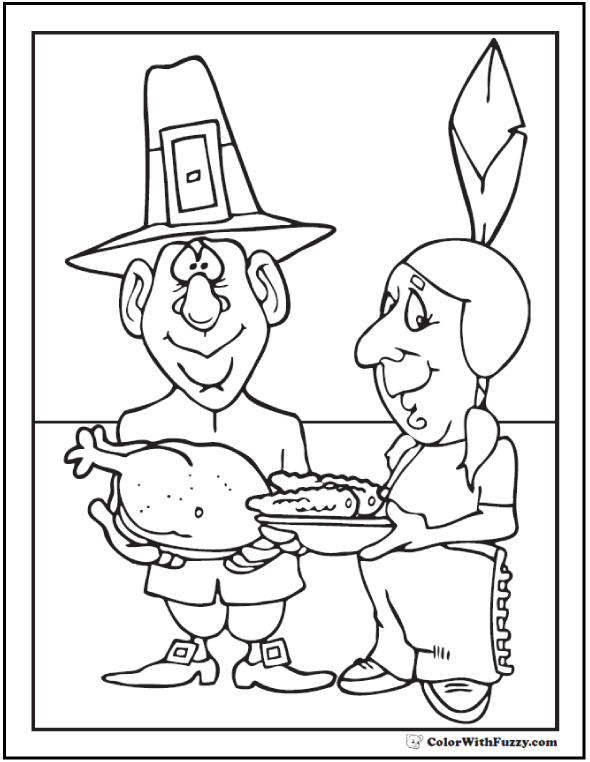 I've got pilgrims and Indians, cornucopias, pumpkins and corn shocks, bountiful harvests, and delicious turkeys! 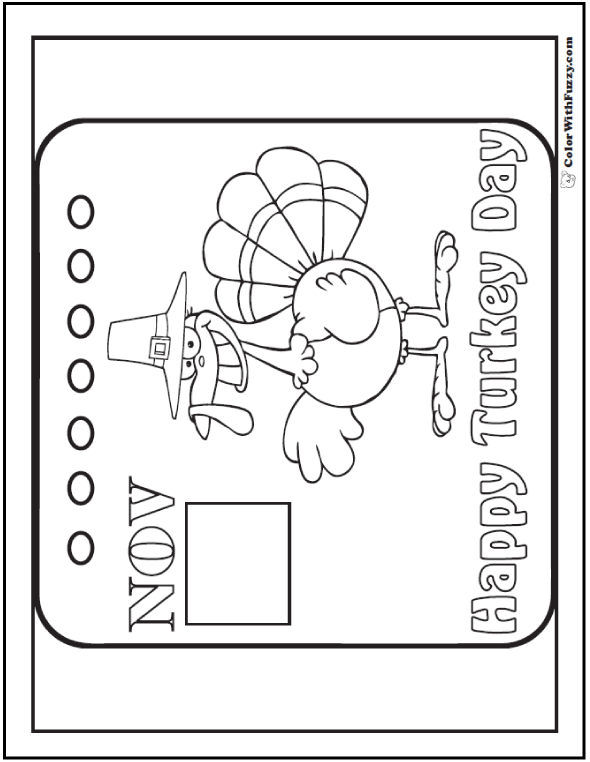 Thanksgiving Day is one of my favorite holidays! 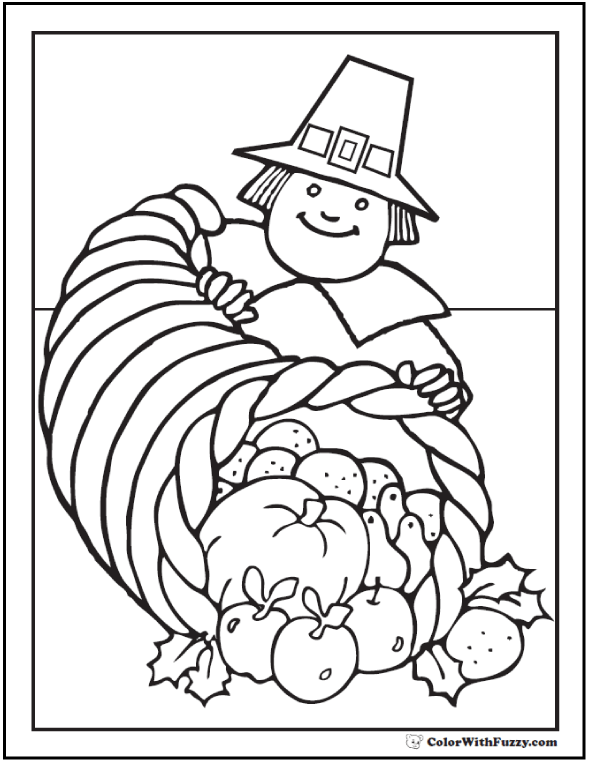 I love the fall leaves and colors, the long weekend, and all the yummy food. 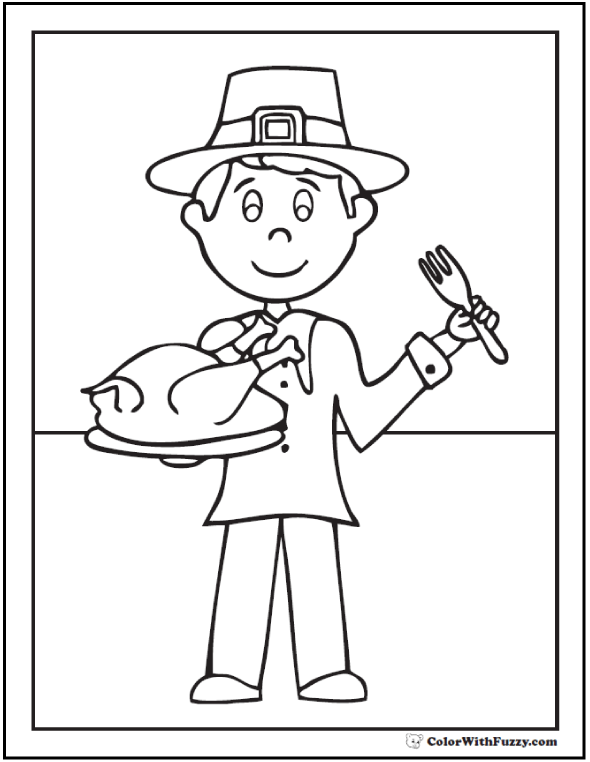 We can all be thankful and this is a good time for it. 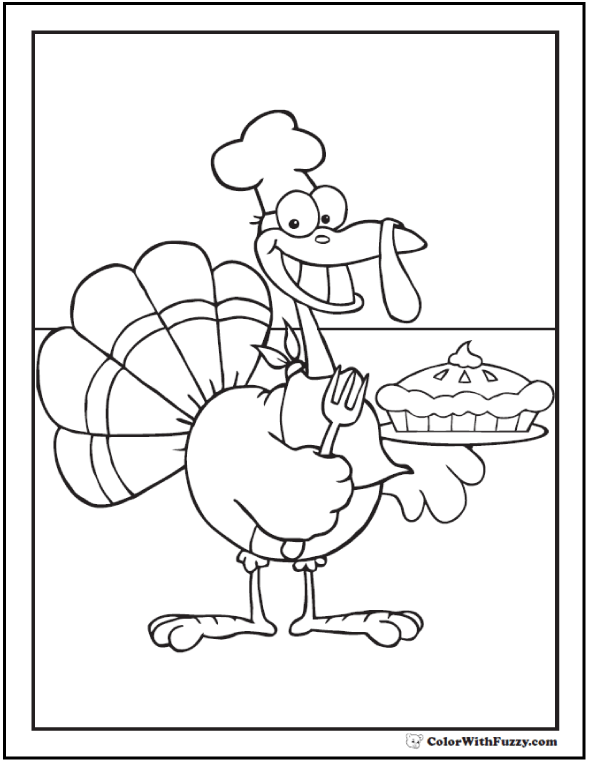 It feels like Friendsgiving time! 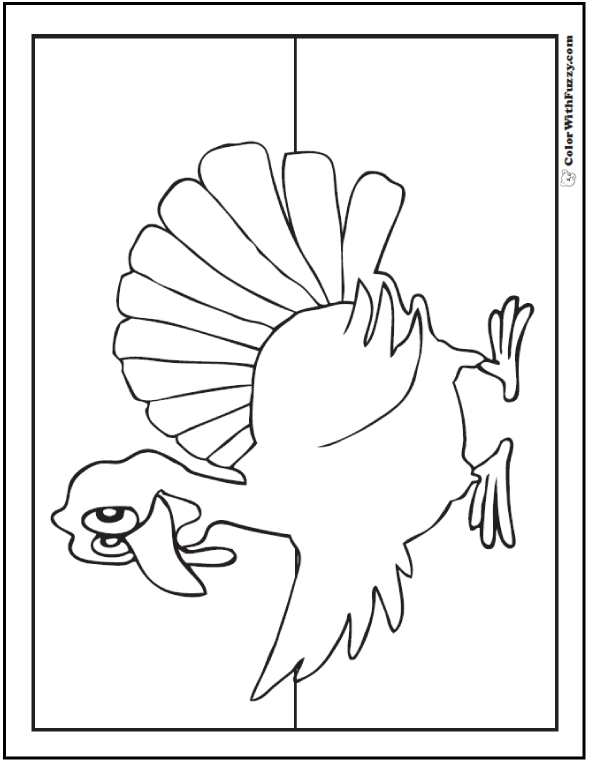 Thanksgiving Turkey Dinners and more turkeys. 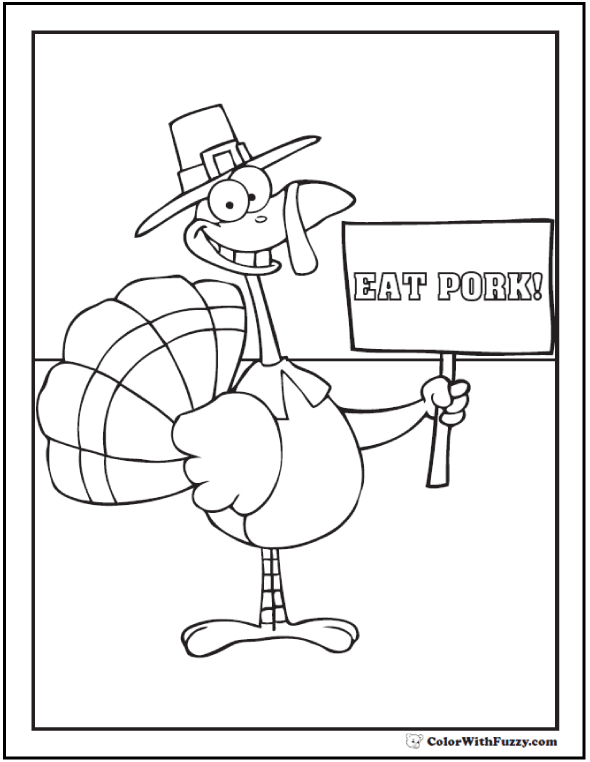 You'll find a lovely Thanksgiving coloring picture here. 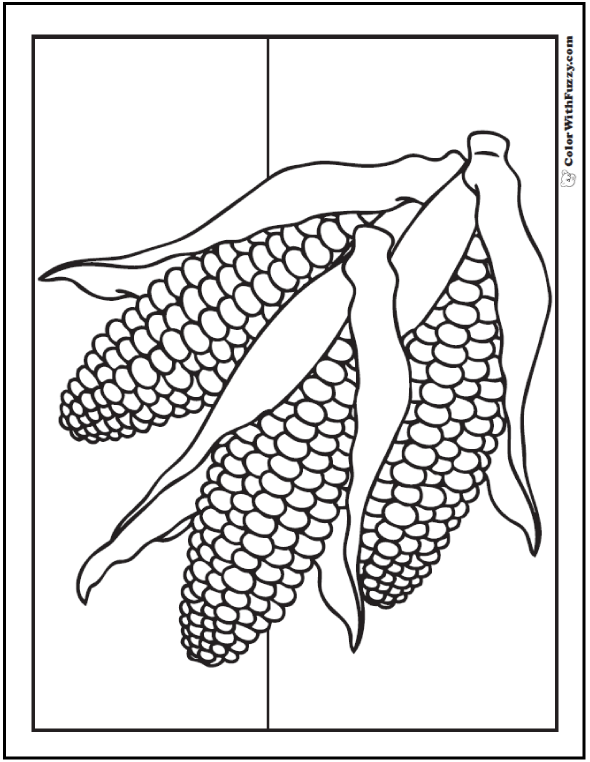 I have pictures of turkeys, ears of corn, and shocks of corn with harvest themes. 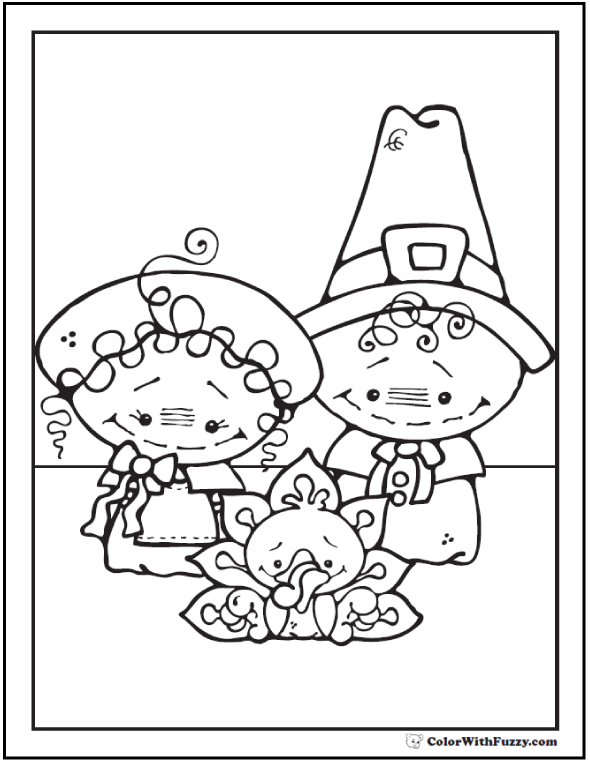 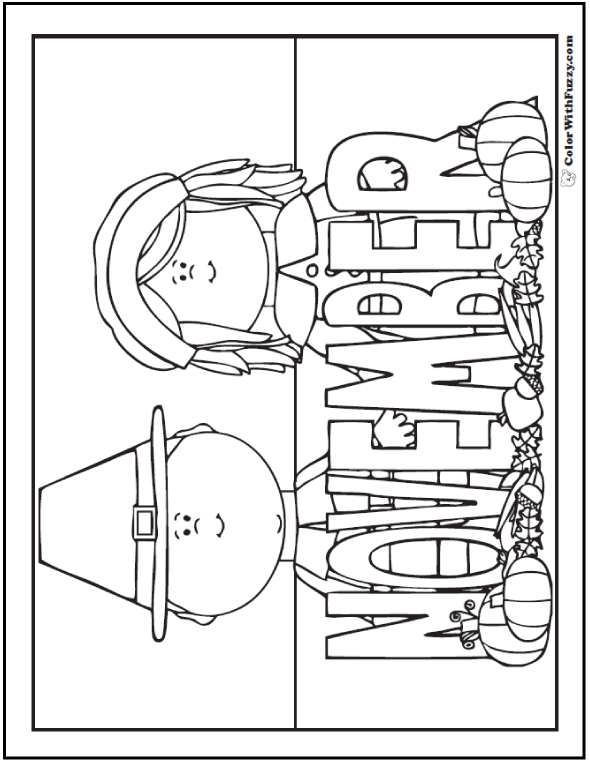 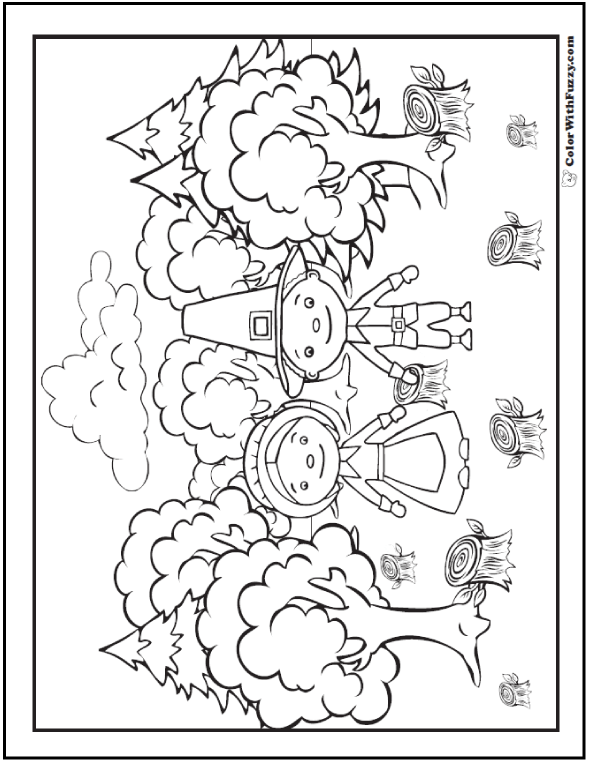 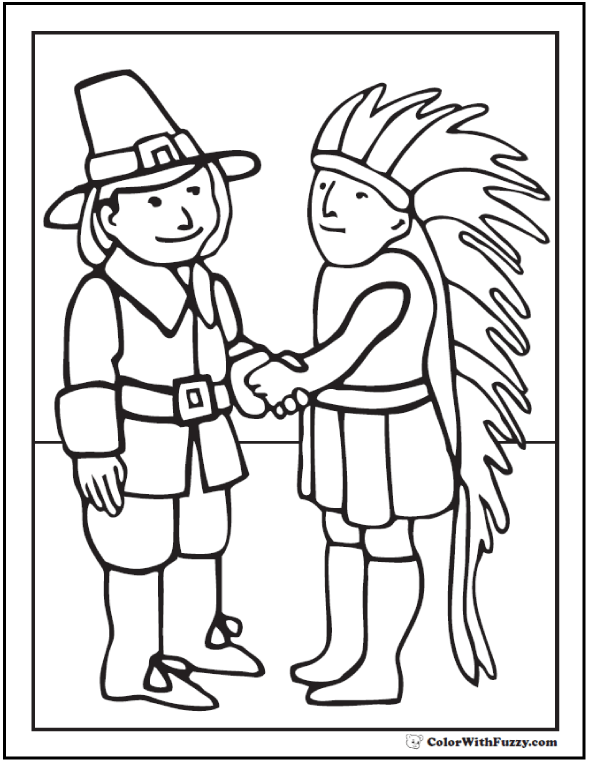 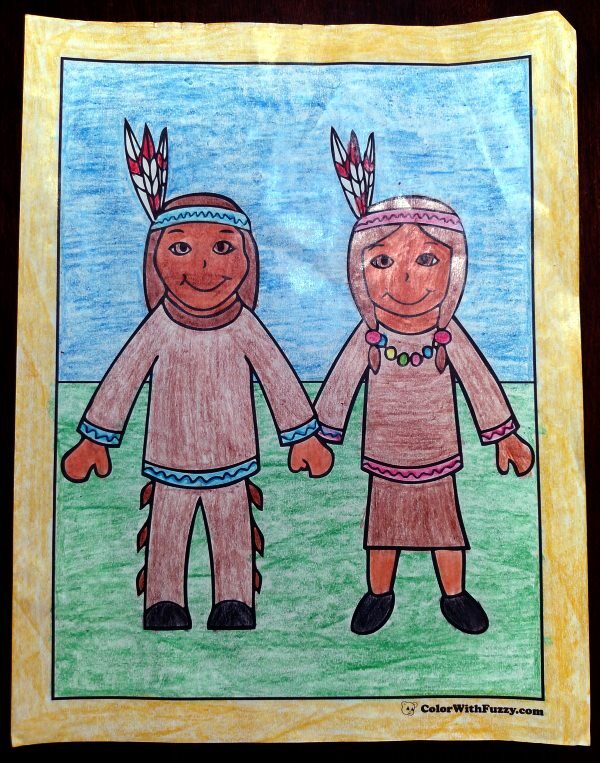 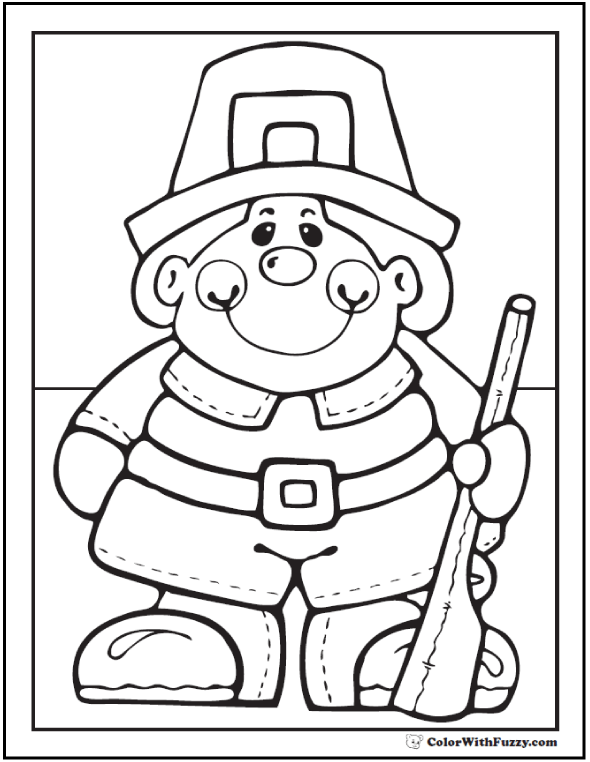 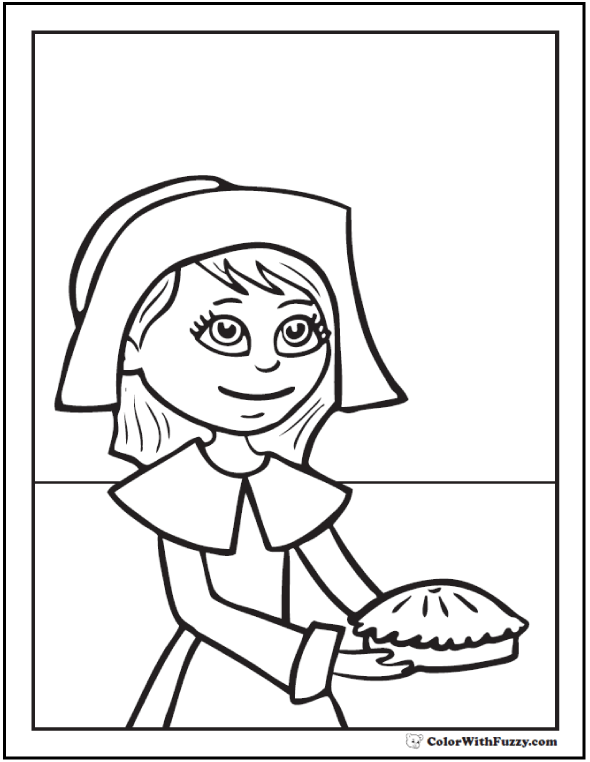 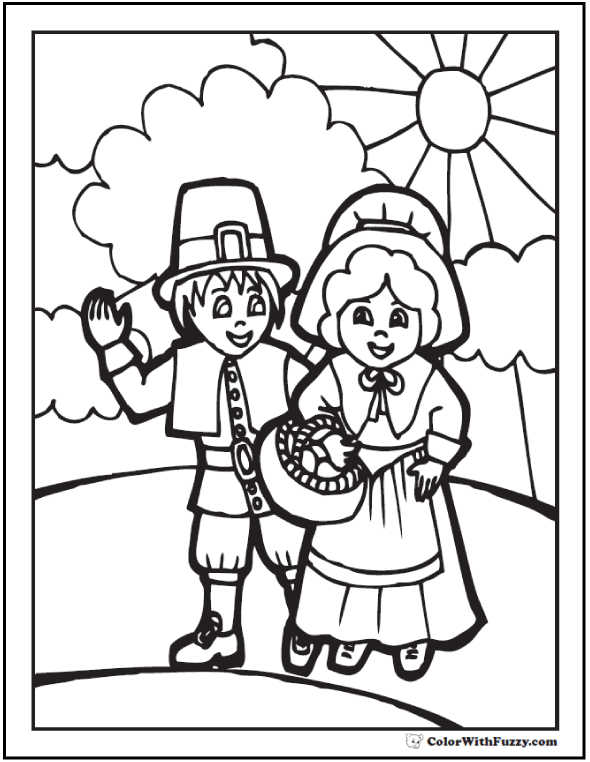 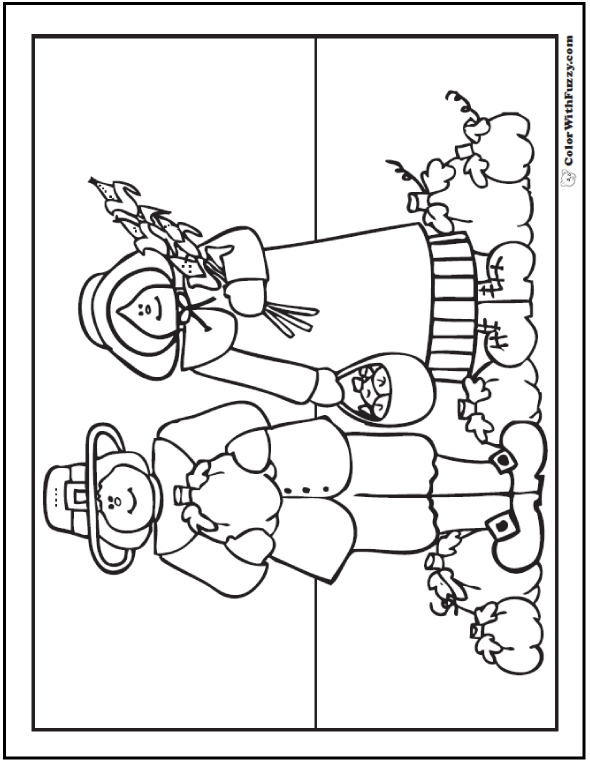 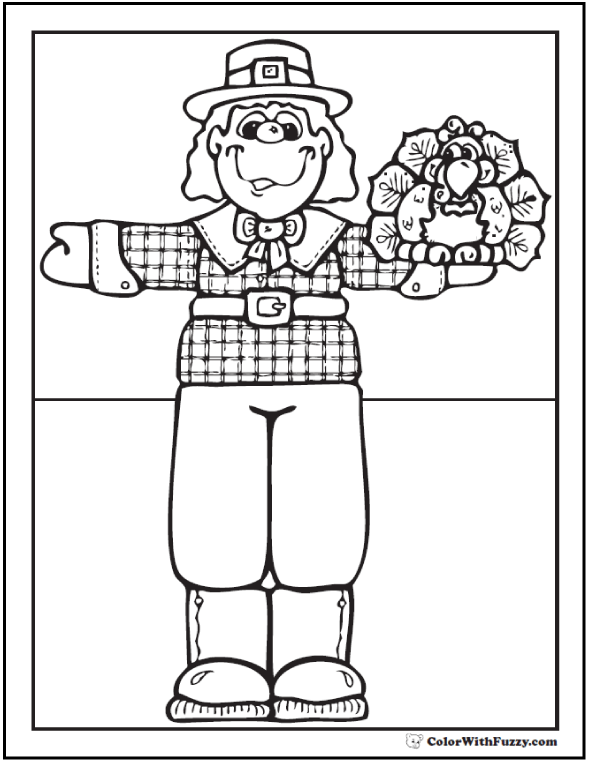 Choose a Thanksgiving pilgrim coloring sheet here, or see the pilgrims meeting the friendly Indians. 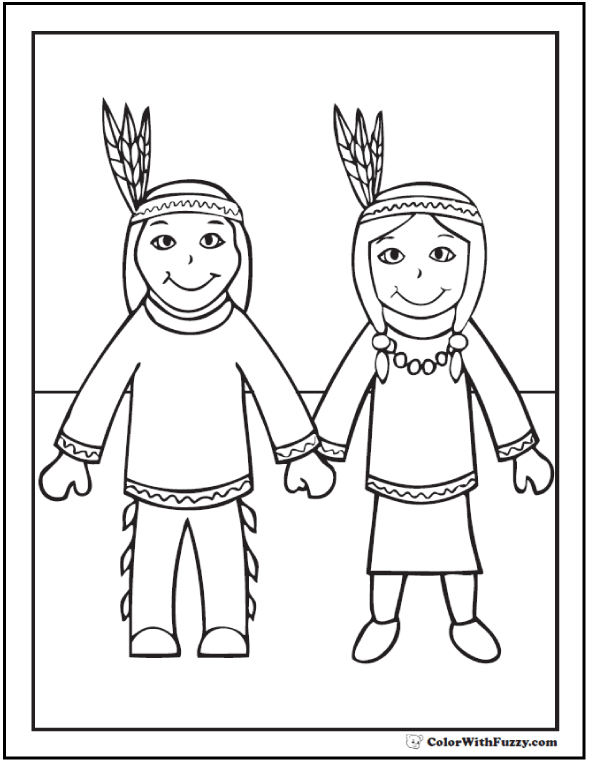 I think that the Indians were very nice to help our European settlers. 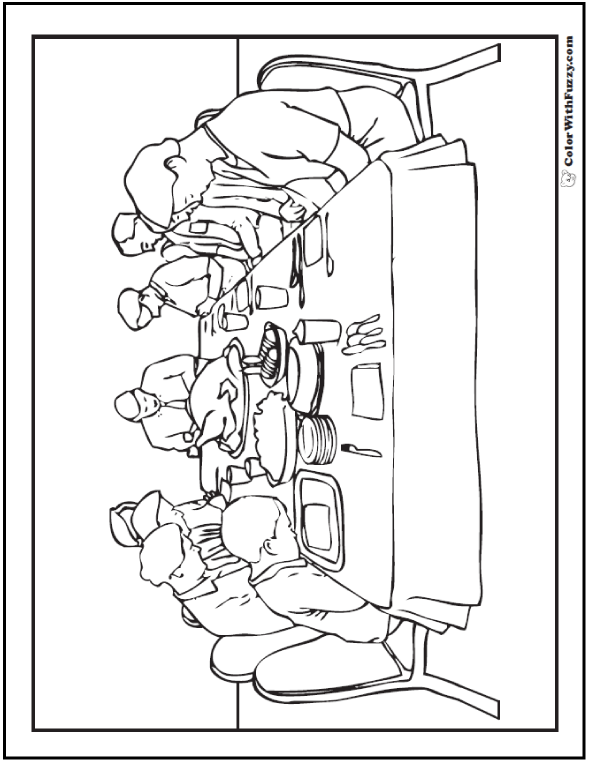 In a way, this was the first Friendsgiving Day. 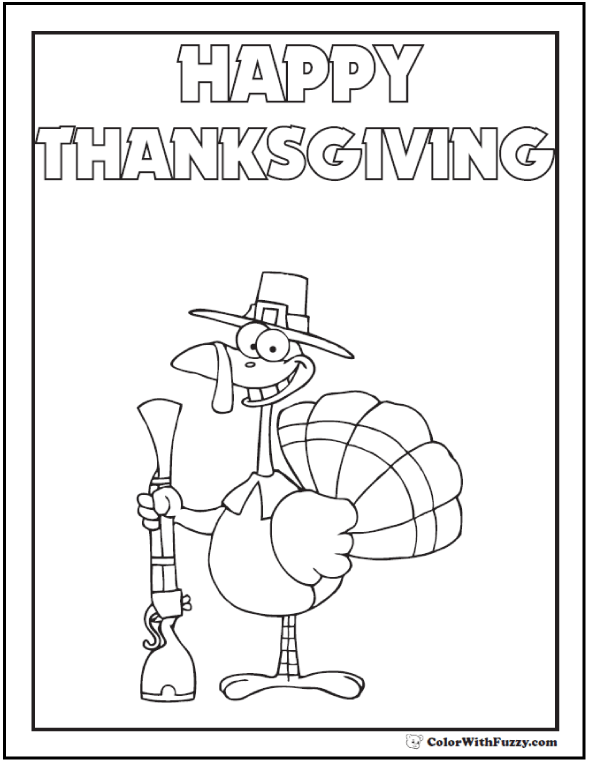 Which is your favorite Thanksgiving coloring page? 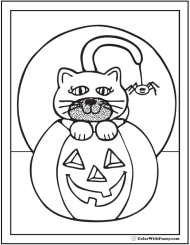 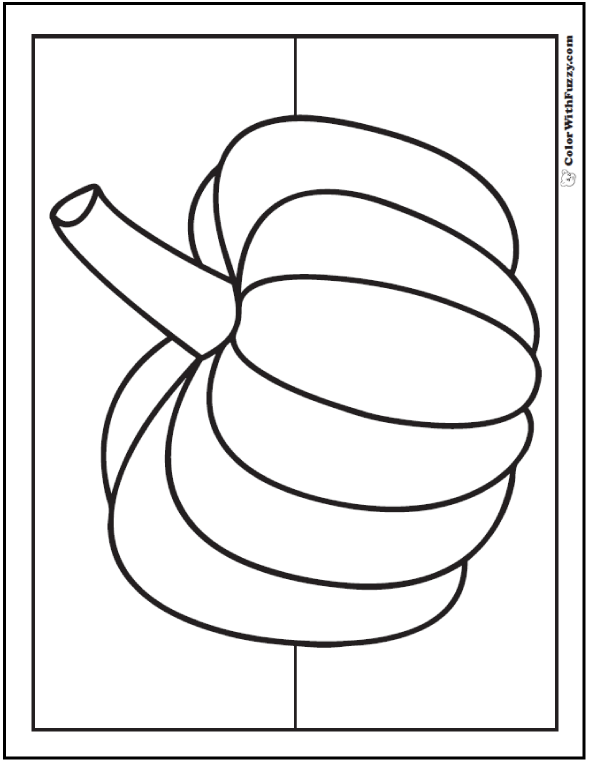 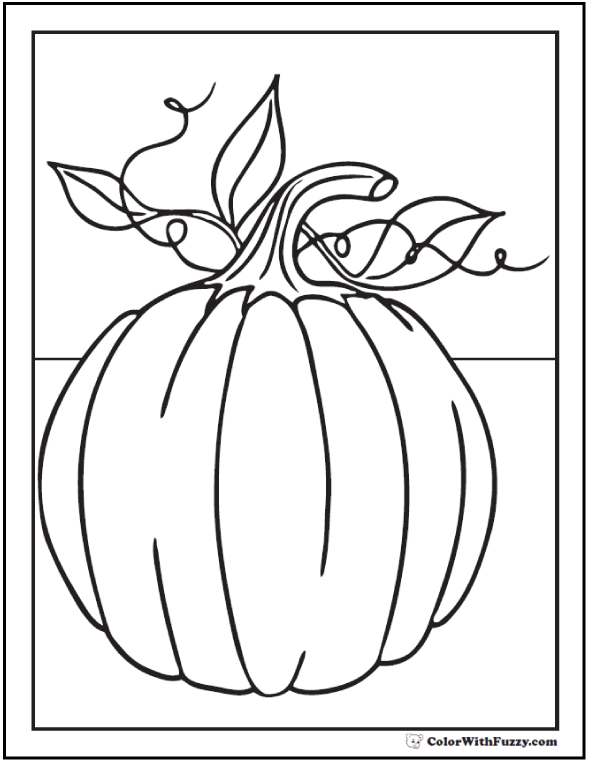 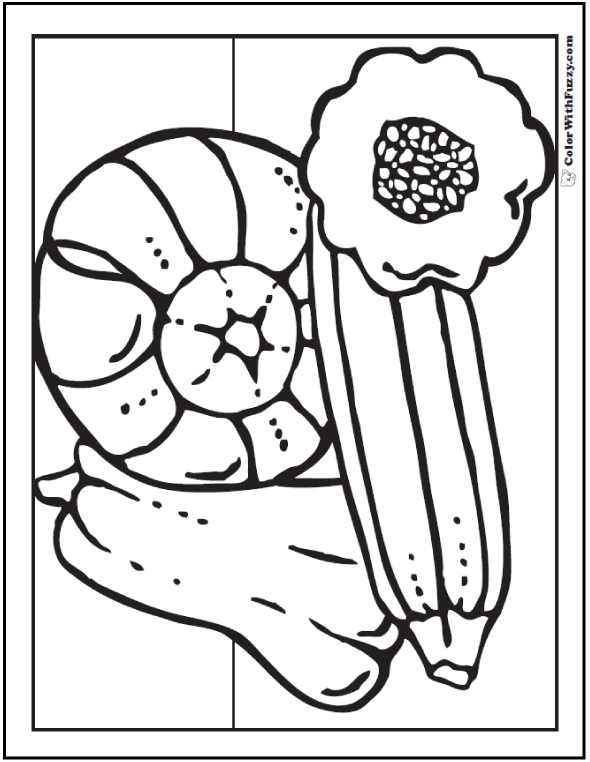 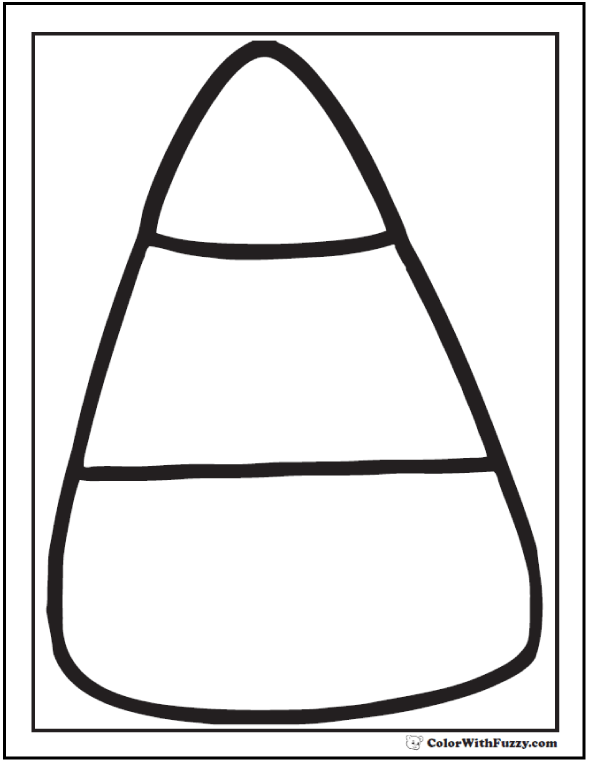 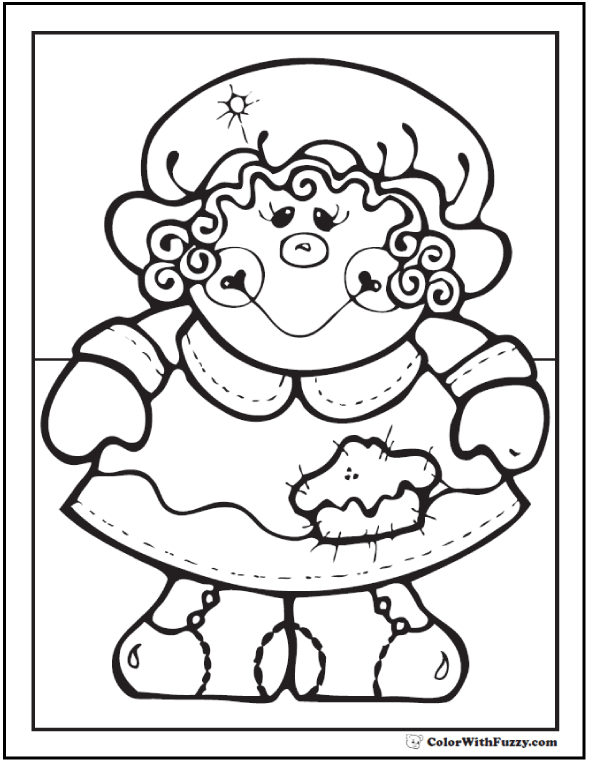 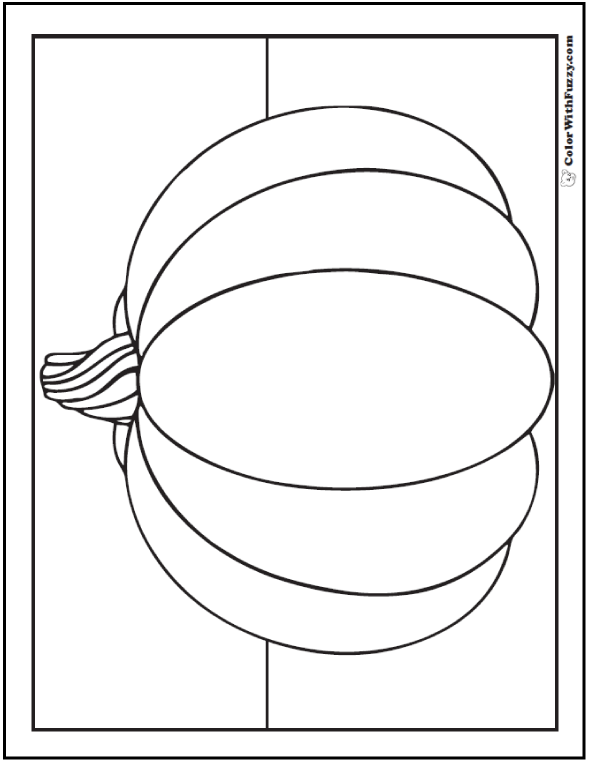 See some Halloween pumpkin coloring printables here. 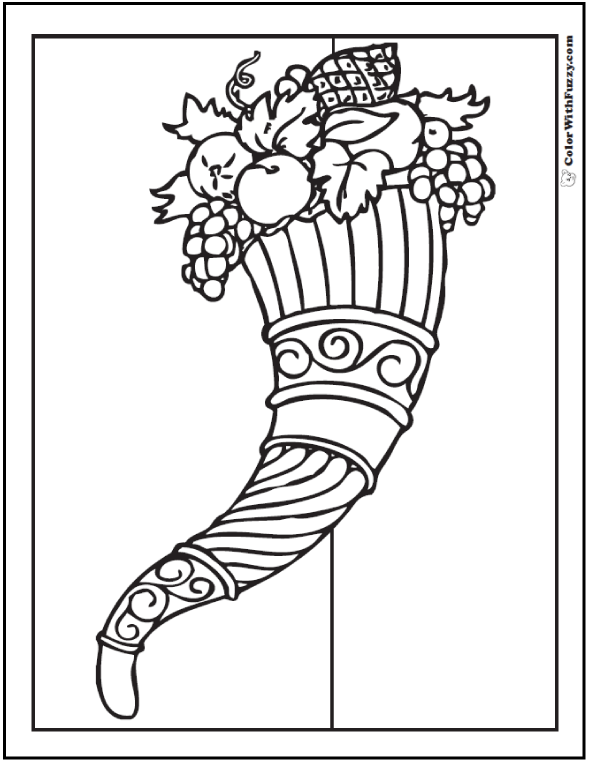 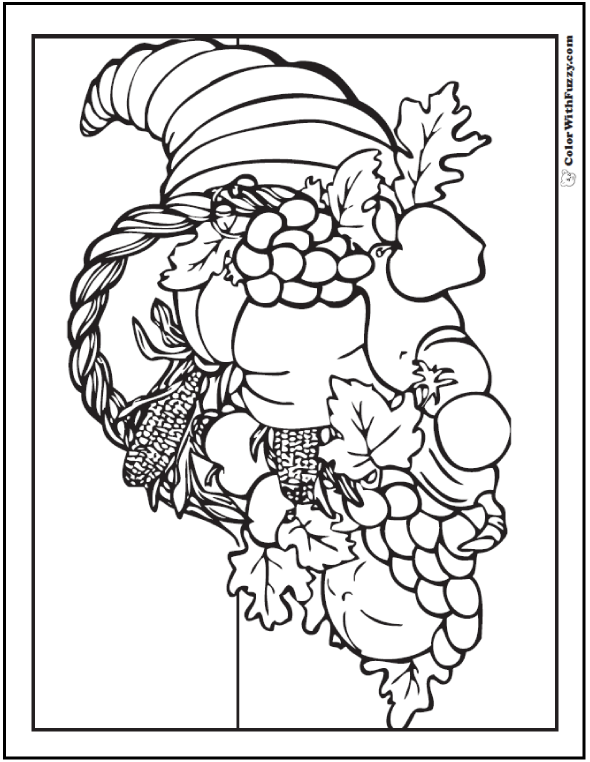 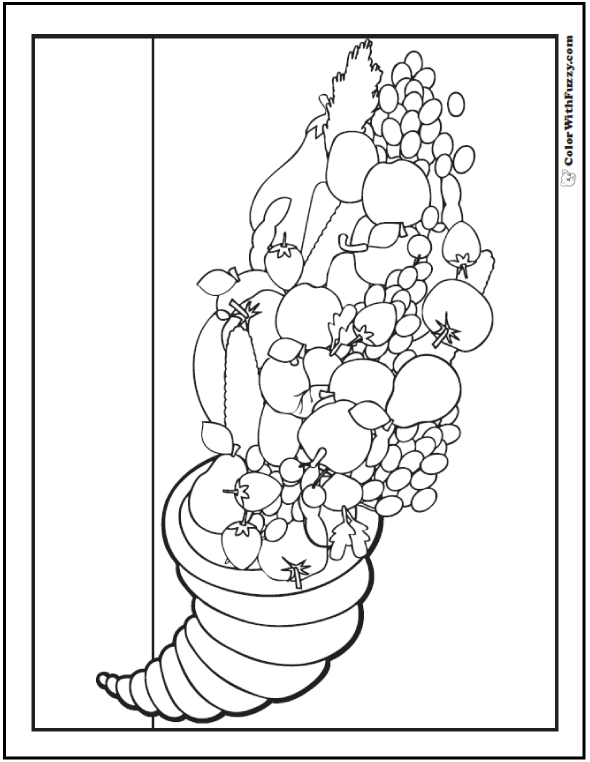 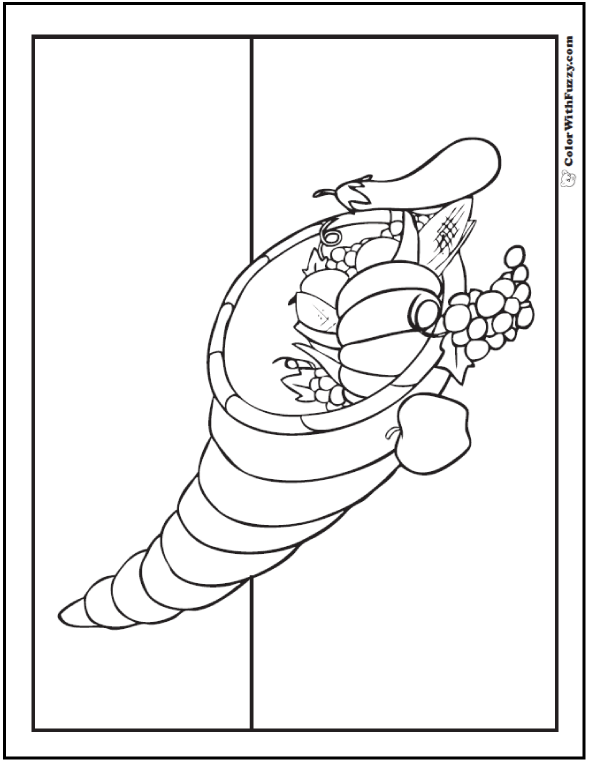 I love coloring a Thanksgiving coloring page of a cornucopia! 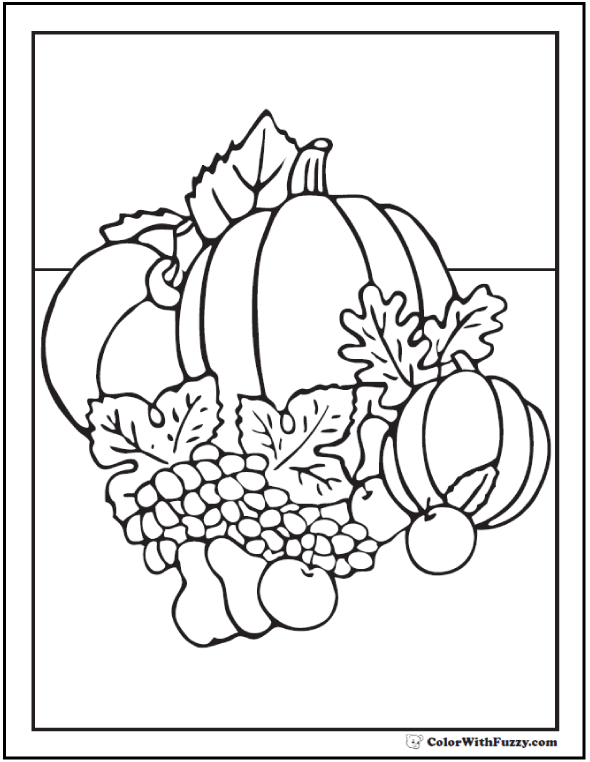 I love the bright orange, red, and yellow colors of the gourds, apples, and pears against the brown of the cornucopia basket and the green of the stems and leaves. 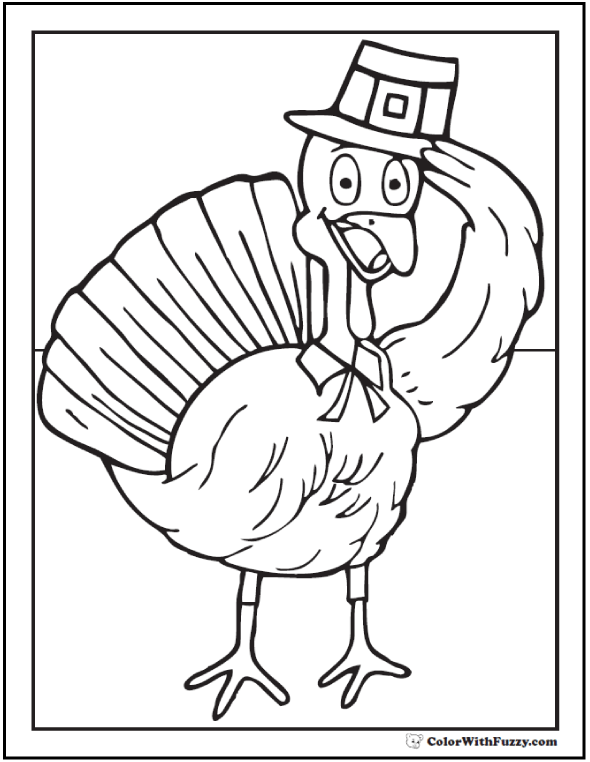 Thanksgiving turkey coloring pictures really help celebrate the holiday! 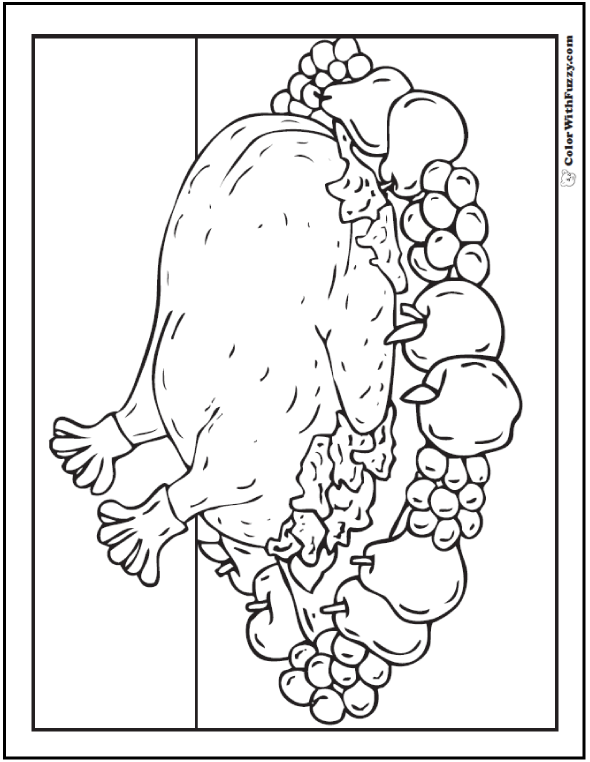 See the blessing at Thanksgiving Dinner and wonderful visions of dressed turkey platters. 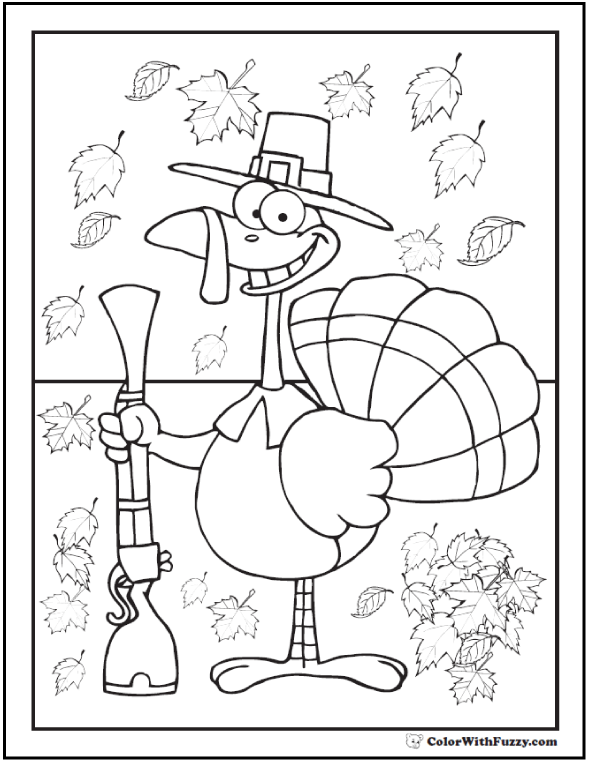 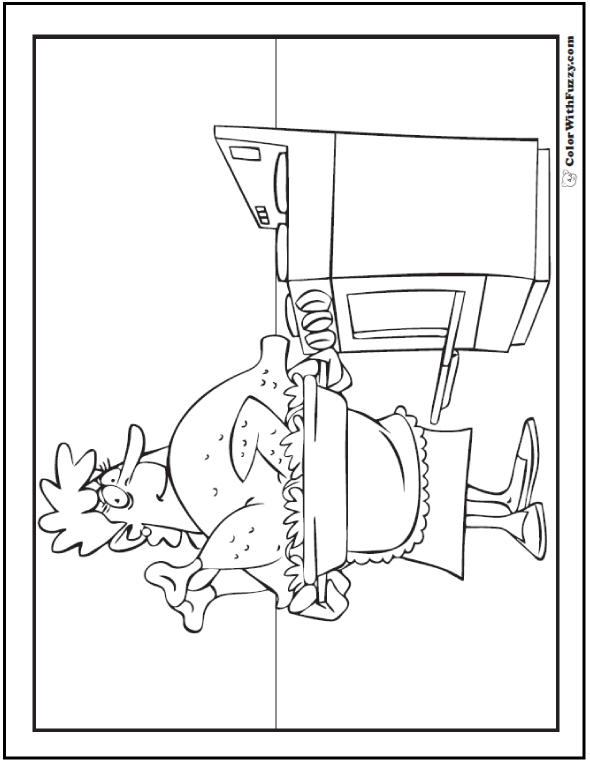 See more funny and realistic turkey coloring sheets here. 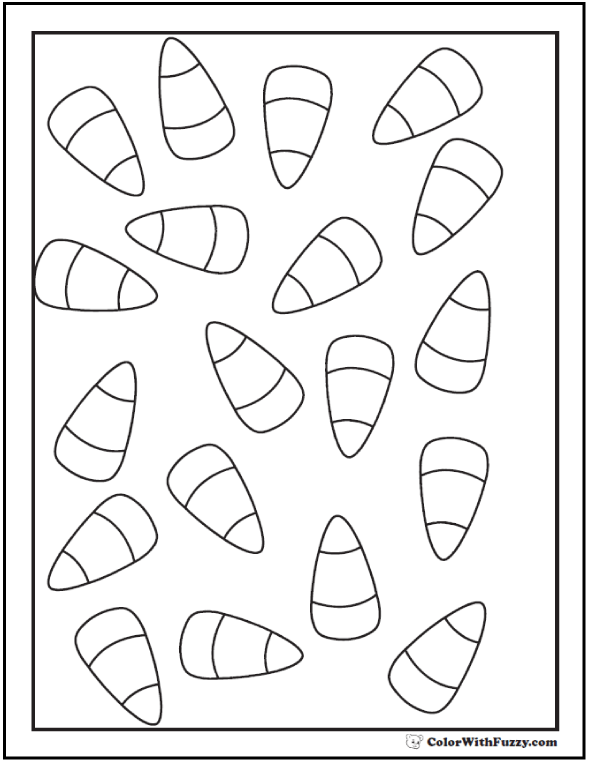 Print these as banners, posters, signs or greeting cards. 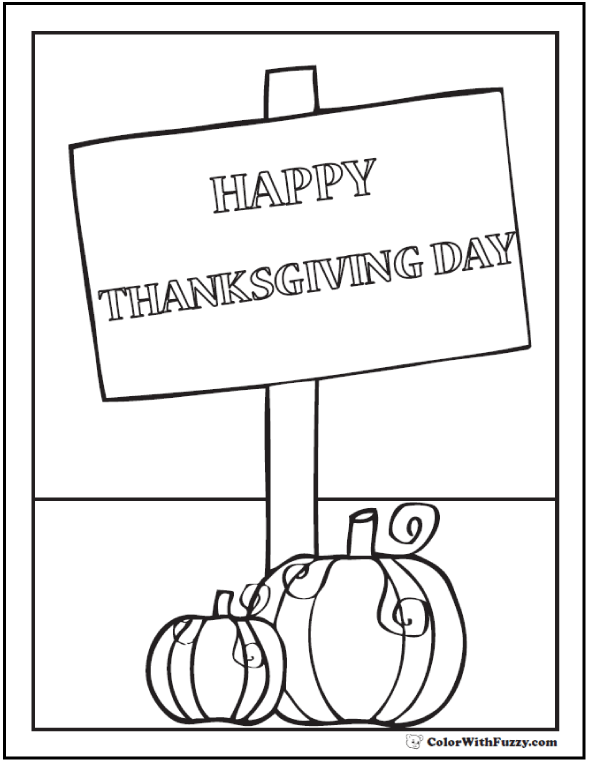 It's fun to have a Happy Thanksgiving banner in the room or to send Happy Thanksgiving cards to family and friends. 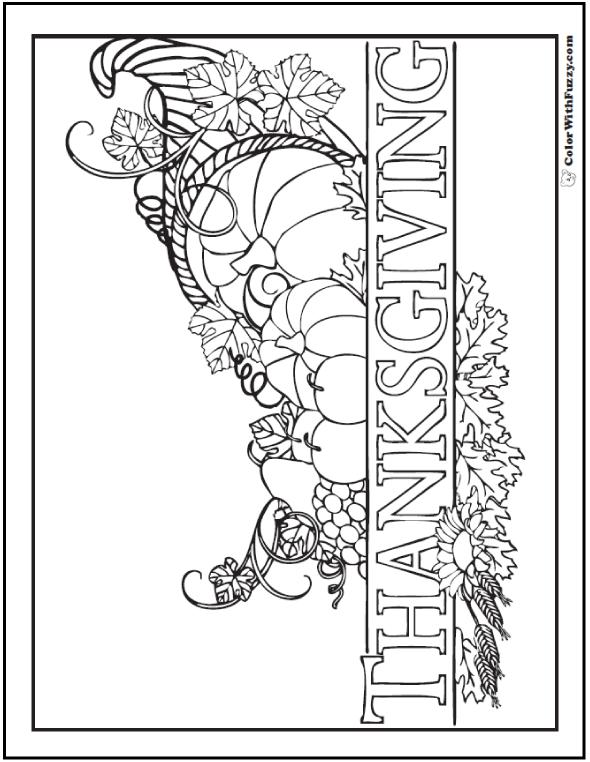 Make them printable Thanksgiving cards by using your printer's booklet setting. 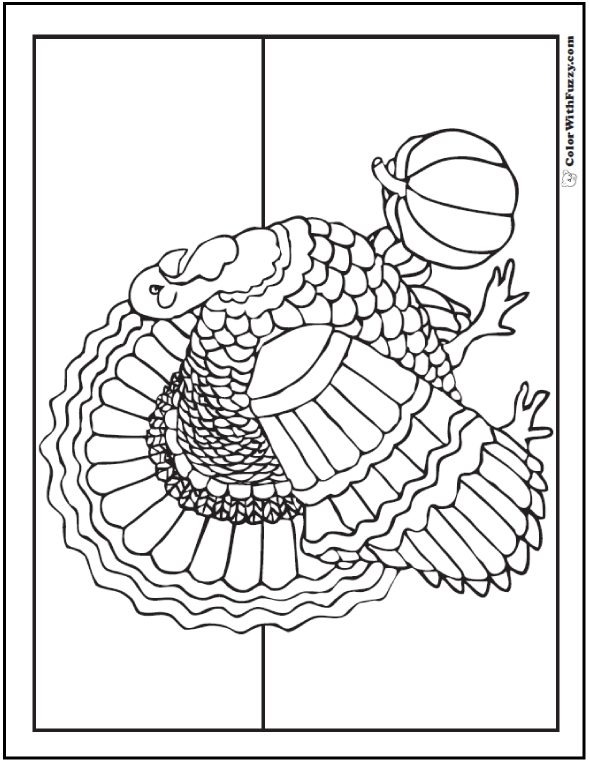 The big turkey is my favorite Thanksgiving coloring page! 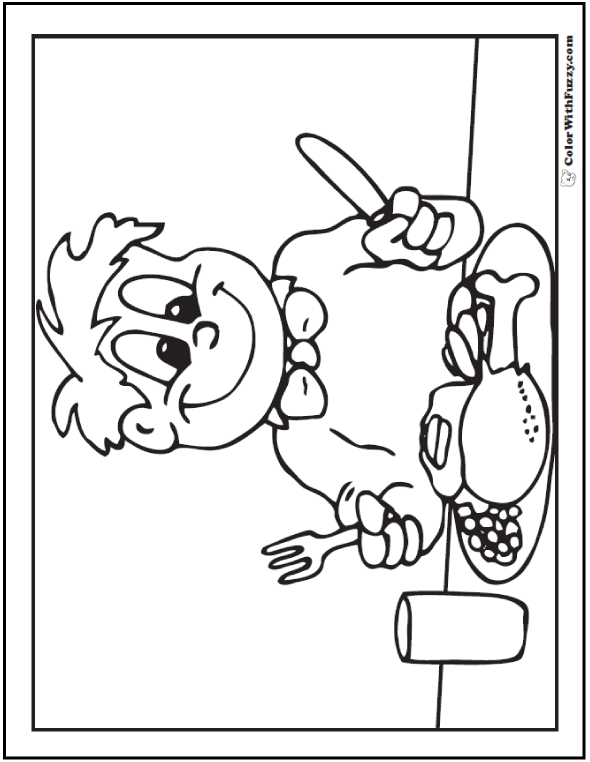 One of my favorite memories of Thanksgiving Day was sitting at the table coloring pictures with my brothers and sisters. 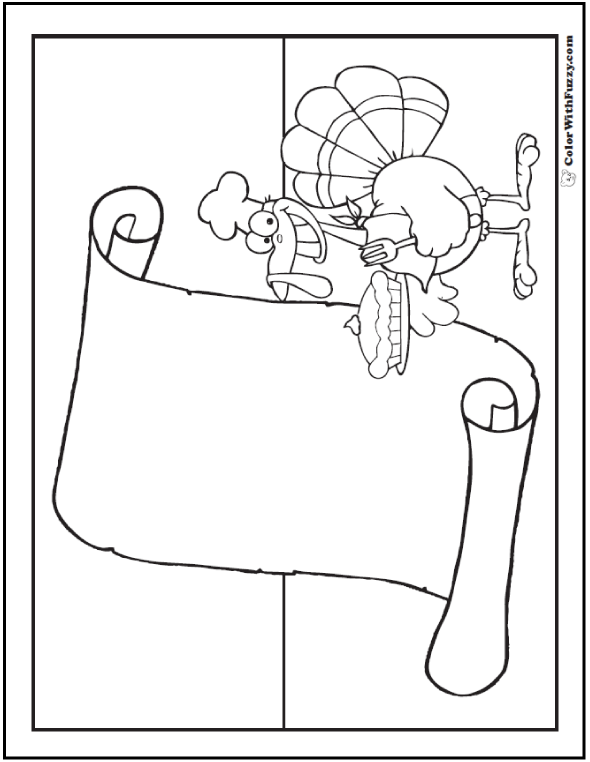 My Dad would light the fire in the fireplace and Mom would be cooking up fun treats to eat at Thanksgiving dinner. 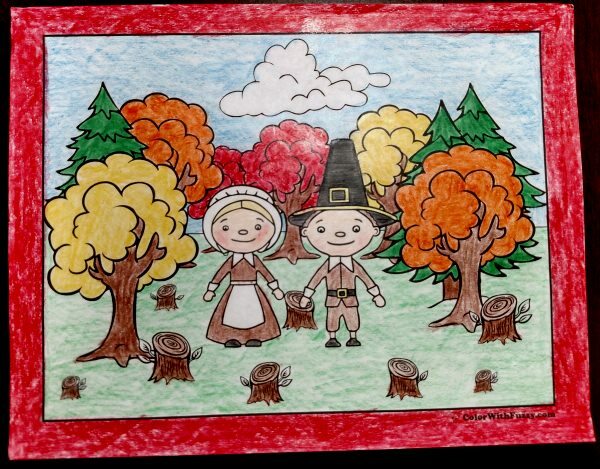 It was extra special when the fall leaves were bright and colorful. 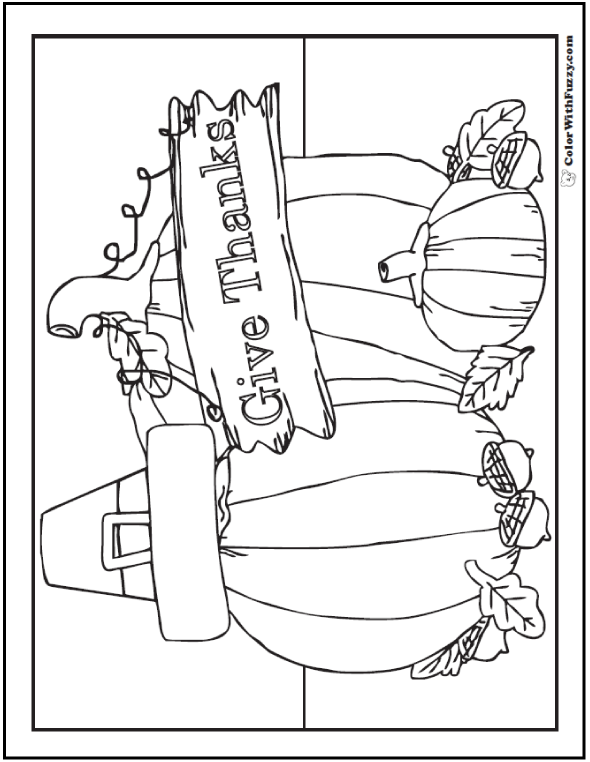 You can color the pumpkins shades of yellow and orange. 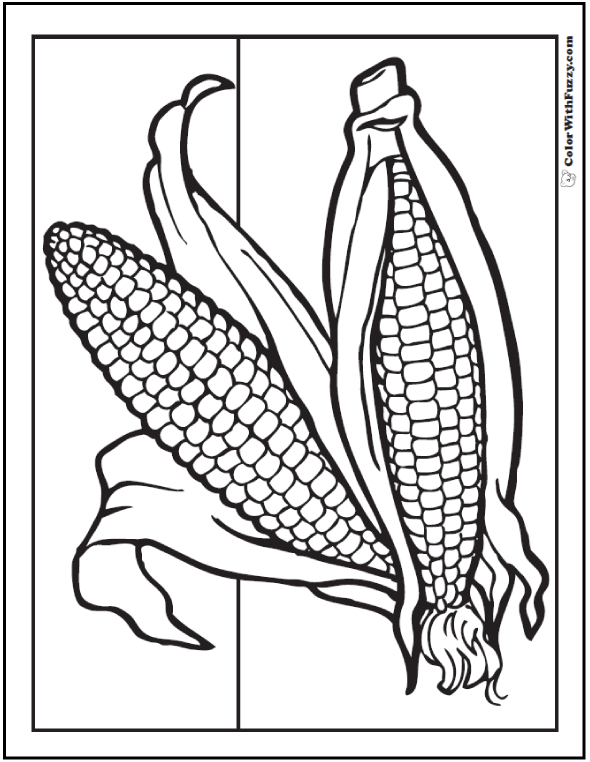 Corn can be yellow and green. 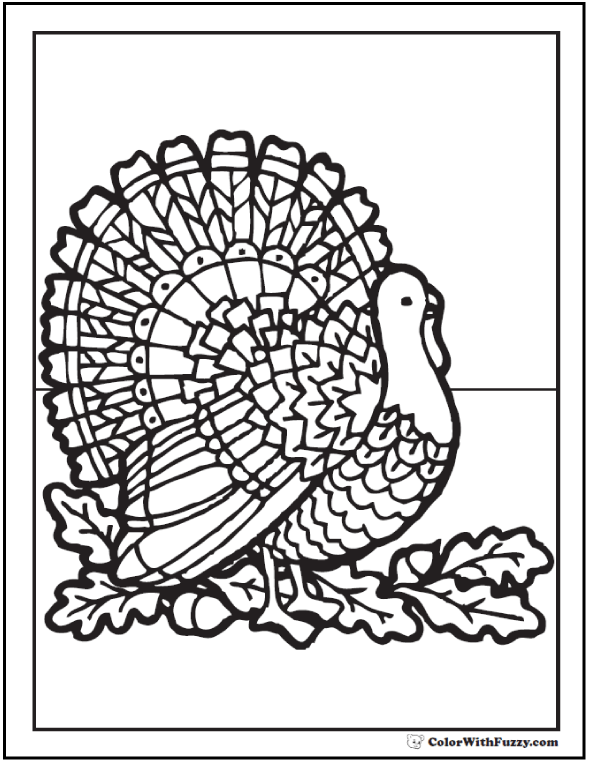 The turkeys and cornucopias can be shades of brown. 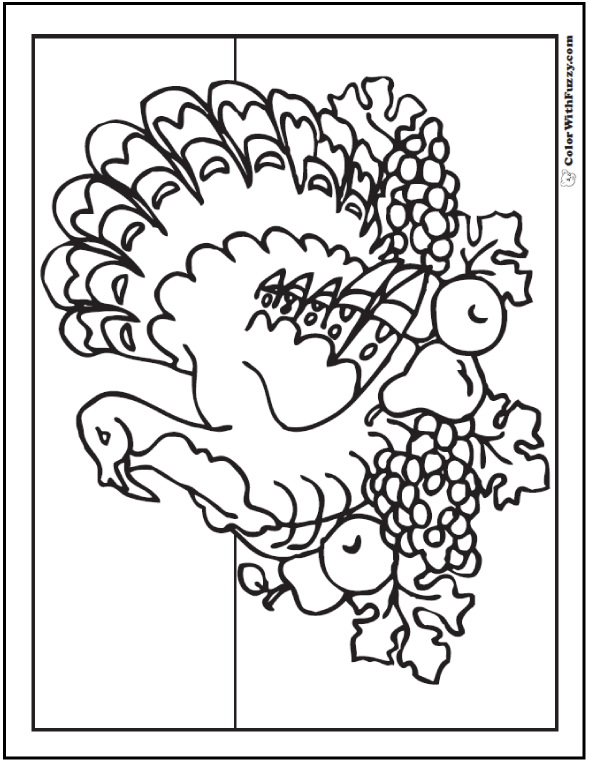 I like to leave white spaces on my turkey feathers and add some little splashes of red color. 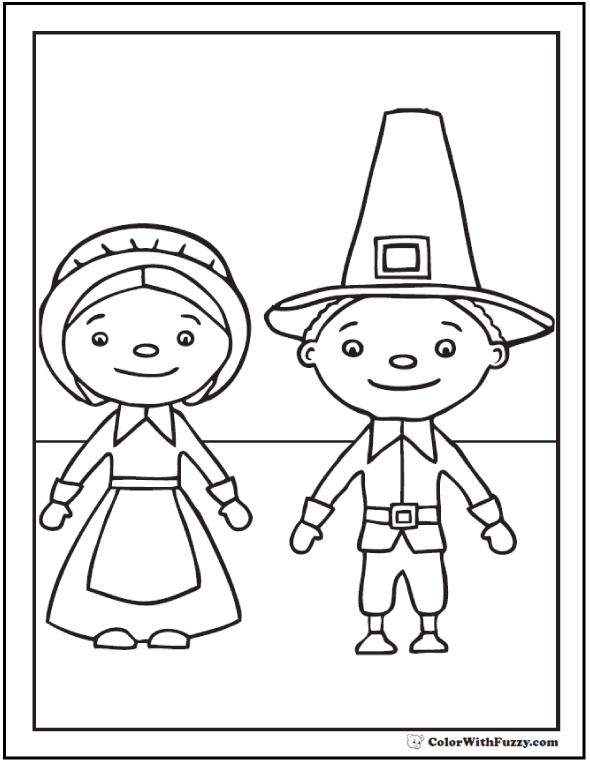 The pilgrims were simple people and they did not have much so their clothes are brown and their hats and shoes are black. 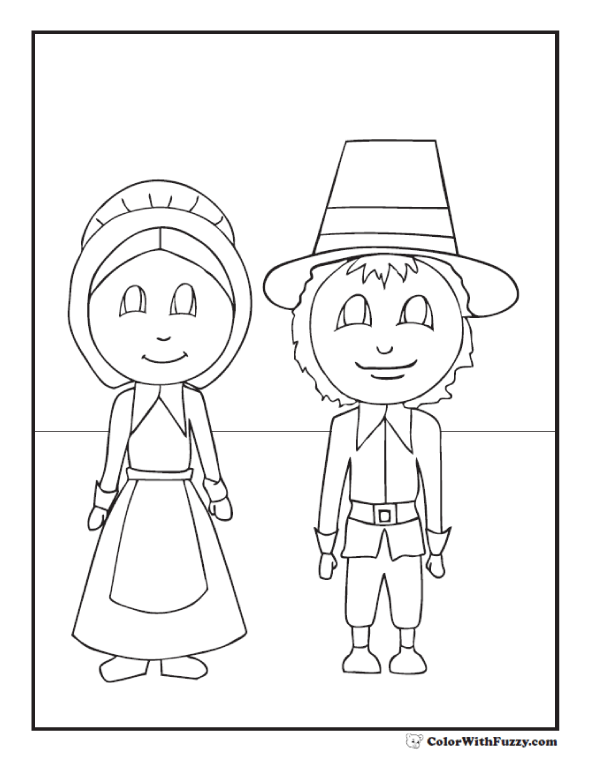 Their bonnets, collars, and aprons were white. 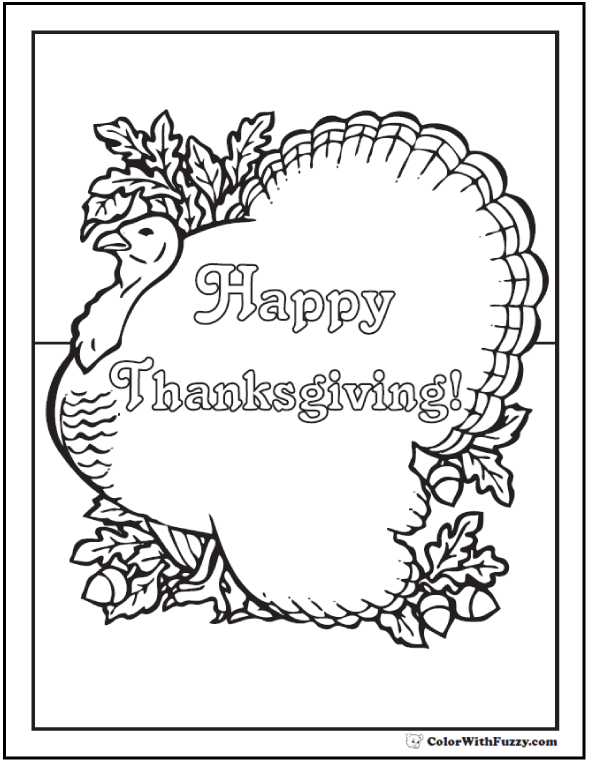 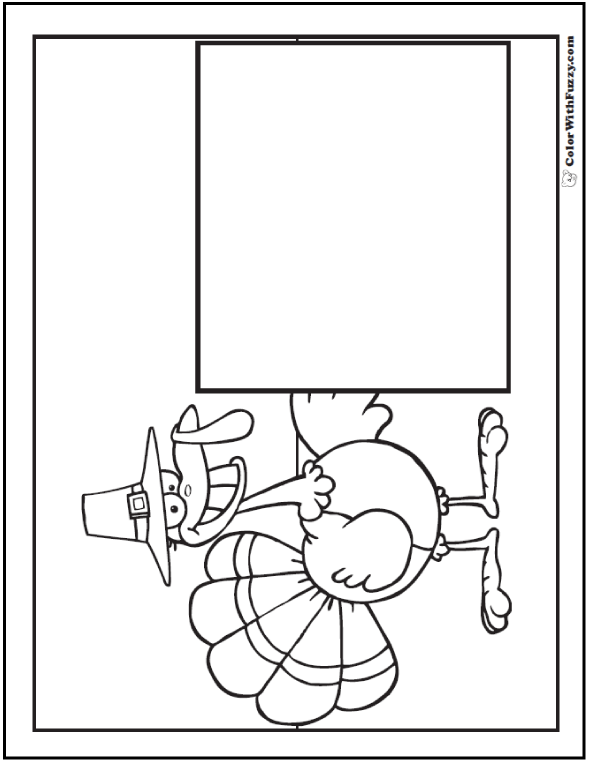 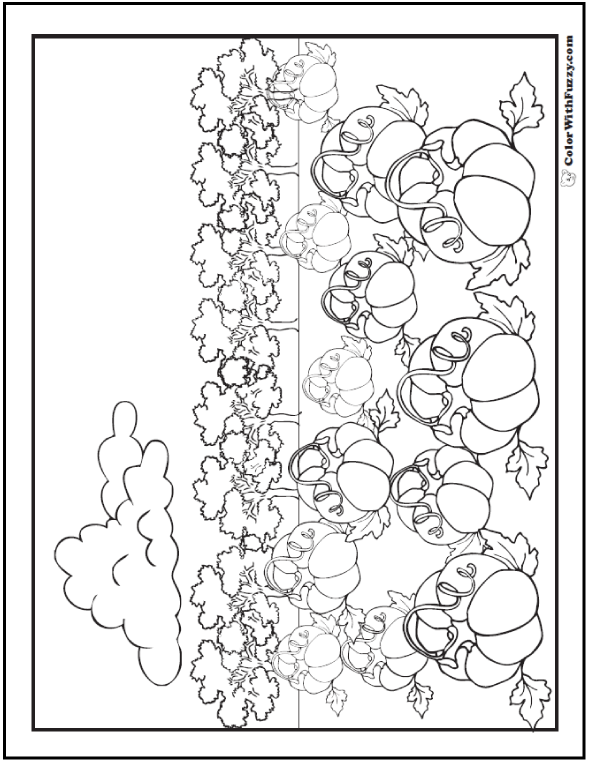 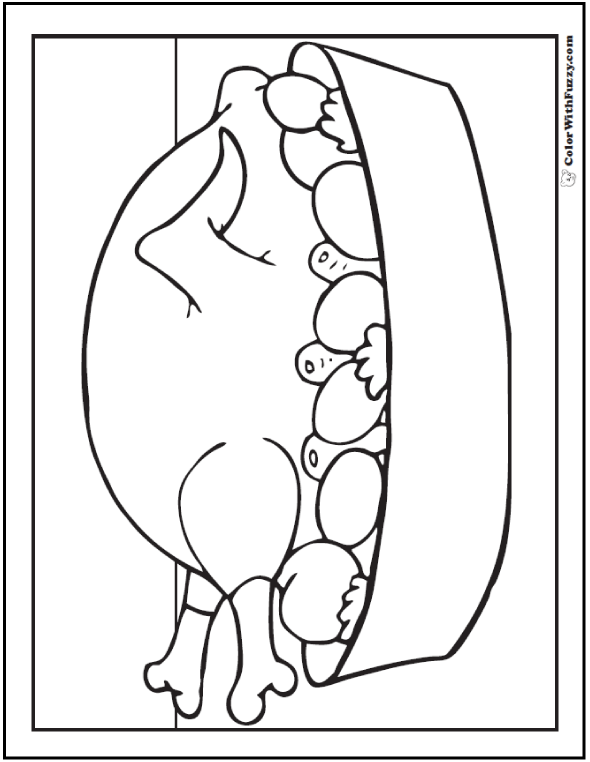 These are such cute Thanksgiving coloring sheets!